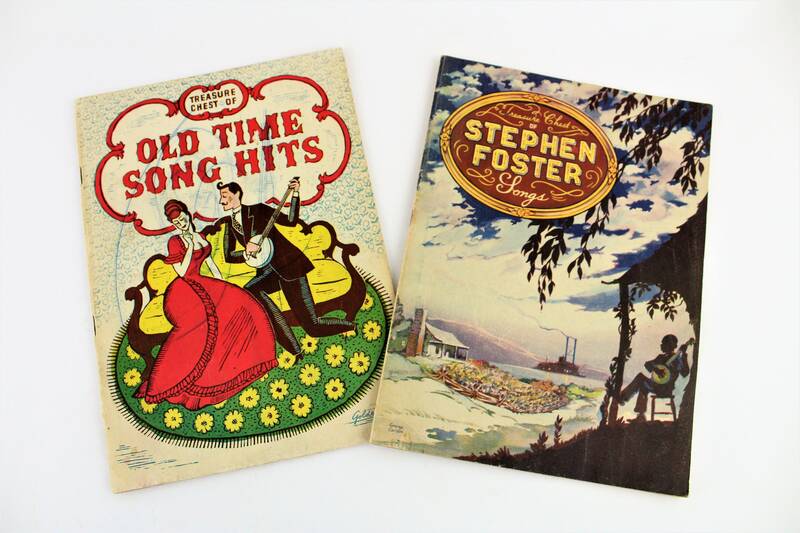 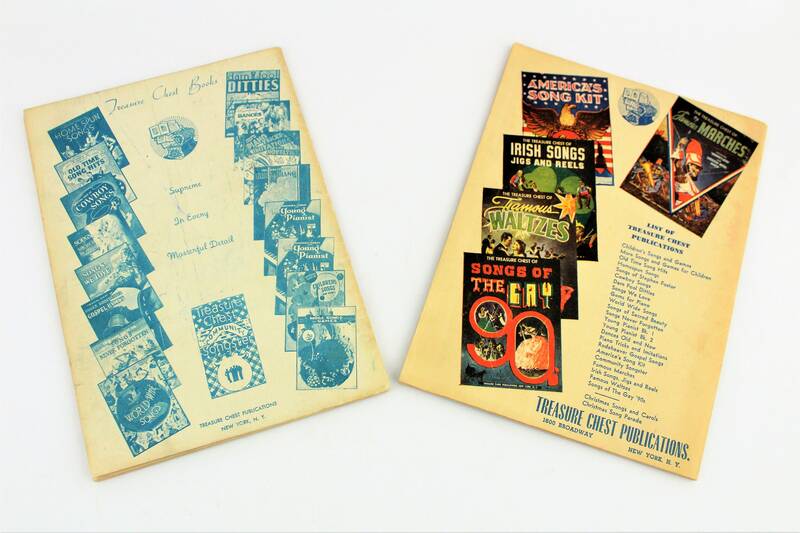 Two wonderful Treasure Chest Song Books from days gone by. 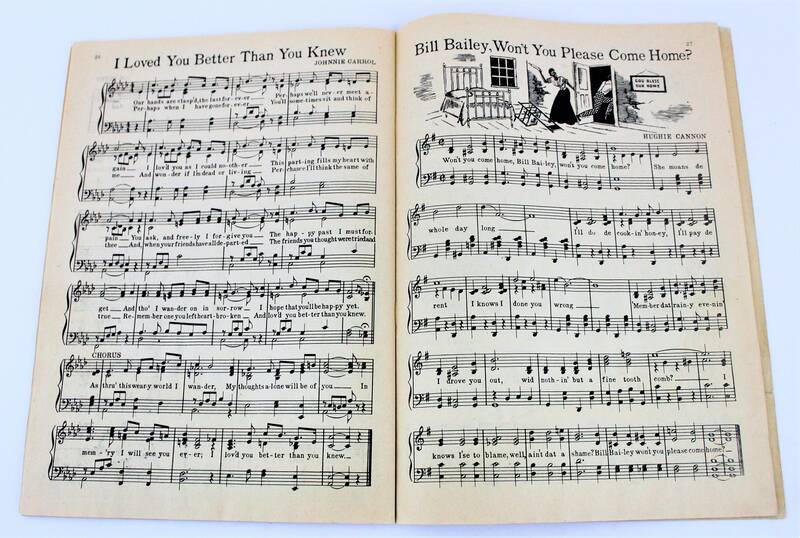 1935 Old Time Song Hits including Bill Bailey. 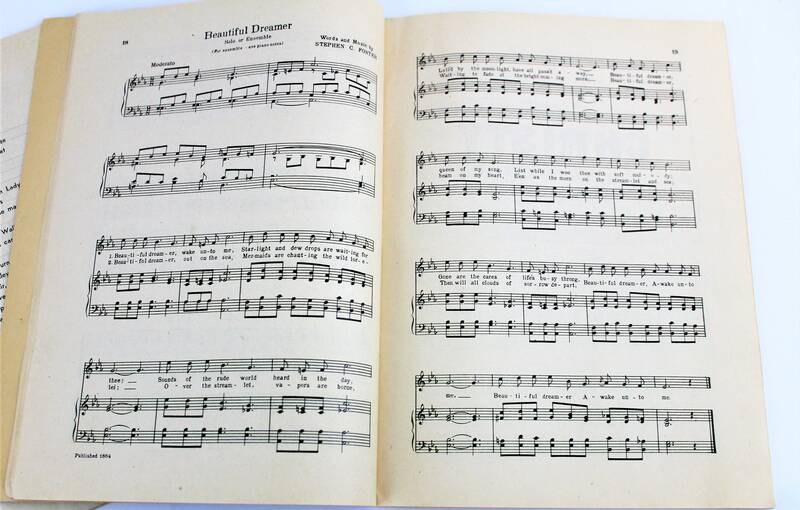 1940 Stephen Foster Songs including Beautiful Dreamer. 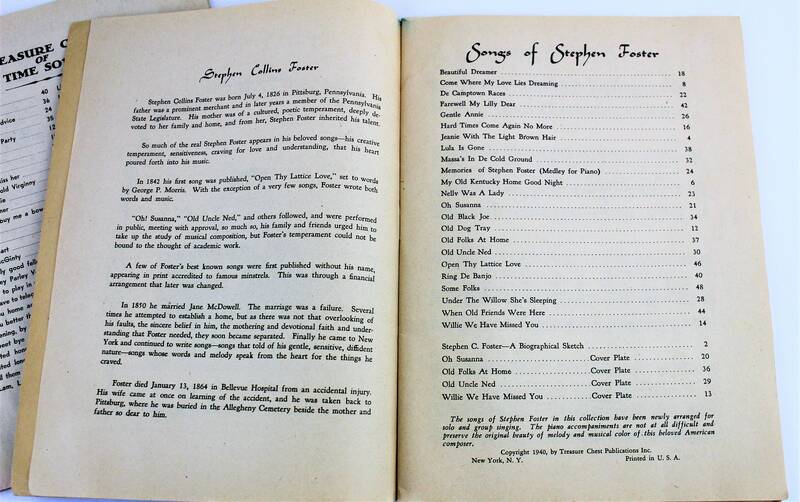 Condition: Good with some yellowing, no missing pages, some light page wear on edges. 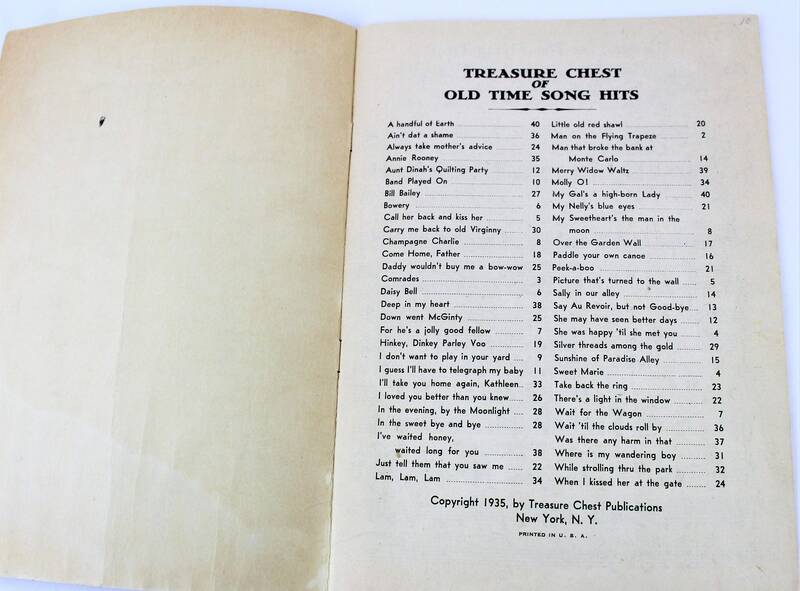 Front cover on Old Time Song Hits has a small hole and ink scribbles. 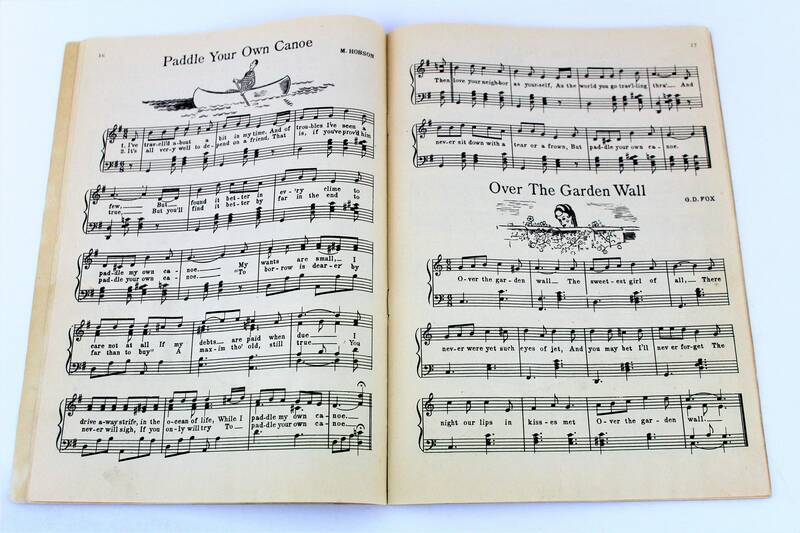 They are used.